warm spices, rare woods, and wild flowers. build the home with a nice nd relaxing scent, through the use of essential oils diffused through wood stems and aged paper from recycled glass. 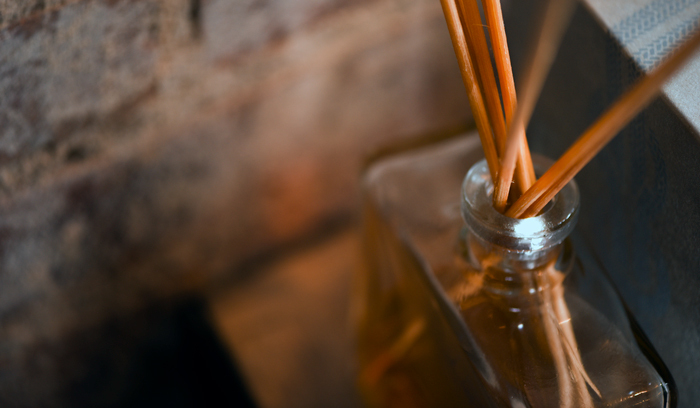 this is a simple, age-old method of making the home smell much better.